Dr Ana McCarthy is a Specialist Physician in Endocrinology with a special interest in Obstetric Medicine. She graduated from Flinders University with a Bachelor of Medicine/ Bachelor of Surgery in 2007, and prior to that from The University of Adelaide with a Bachelor of Science (Biomedical Science). During her medical training she has also obtained a Diploma of the Royal Australian College of Obstetricians and Gynaecologists in 2010. 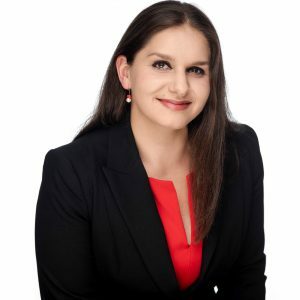 She undertook Basic Physician Training at Flinders Medical Centre, and Advanced Physician Training in Endocrinology at Flinders Medical Centre and The Lyell McEwin Hospital, and attained Fellowship of the Royal Australasian College of Physicians in 2018. Ana has presented at several national conferences in Endocrinology and Obstetric Medicine, and has a strong research interest in the area of diabetes in pregnancy. She was the winner of the Australasian Diabetes in Pregnancy Society Clinical Research Grant in 2018 for a study looking at Flash glucose monitoring in pregnant women with Type 1 and Type 2 diabetes. Dr McCarthy provides specialist management of general endocrinology issues, including thyroid/parathyroid disorders, pituitary/ adrenal and bone/ metabolic disorders. She has a keen interest in all types of diabetes, especially person-centred care, diabetes during pregnancy, and the use of technology in diabetes management. She is also passionate about reproductive endocrinology and transgender health care.